This will change the way meeting planners work. Join the waitlist to get notified when the Conference Harvester Logistics launches. Add your venue, available rooms, and important data such as room capacity, minimum and maximum expected attendance, days and time slots, and more. Define additional information that you can assign to rooms like staff members, volunteers, AV items, drinks, snacks, and more. Then assign human, physical, and additional resources to available rooms via a step-by-step process. The system will notify you of any conflicts and help you allocate resources properly. Something that previously took hours now takes a matter of minutes. "It's always amazing how the smallest details are always the most difficult and time consuming, but CadmiumCD has found innovative and user-friendly ways to make details more manageable. The technology is amazing, and the staff is beyond helpful." Finally, schedule individual sessions to available rooms via an automated process. Essentially an algorithm checks available rooms with the required resources for that session, detects conflicts with other sessions and speakers, then gives the meeting organizer a list of available rooms to schedule the session at the click of a button. No more white boards and sticky notes! 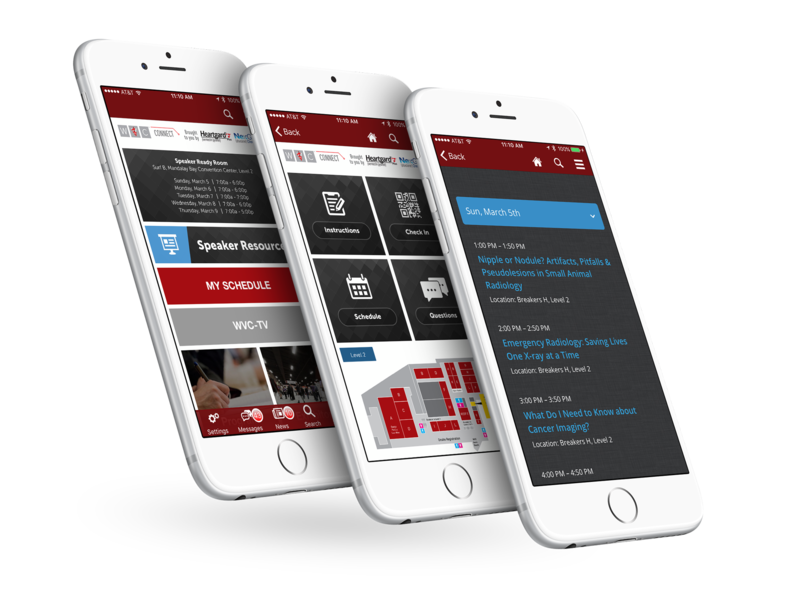 Through Conference Harvester Logistics's Integration with eventScribe Boost, meeting planners can access tear-sheets for each individual room and see what resources are allocated to particular sessions all from their mobile device, in real-time, from the same app their attendees are using.